A singular achievement of Rahul Gandhi has been his discovery—or re-discovery—of the expression "B-team". It had existed for long, but it was Rahul who found its potential for political badmouthing in India. He is fond of calling any party he detests—nearly all parties might qualify for his contempt—a B-team of BJP. At different points of time, he had rubbished Telangana Rashtra Samithi and Janata Dal (Secular) as B-teams of the BJP in their respective states. But Rahul may not be amused now. The epithet is returning to him like a bad coin. Even Left leaders, whose vocabulary seldom goes beyond archaisms like bourgeois, are calling Rahul a B-team of BJP because he is fighting a CPI candidate in Wayanad. And the Congress in Kerala had once called the BJP a B-team of Left. It’s now extending that sobriquet to alleged scamstress Saritha Nair, who is contesting as an Independent allegedly at the Left’s bidding. The word has come to stay in India’s politics for good. Thank Rahul for it. So, it’s not surprising that Andhra Pradesh Chief Minister and Telugu Desam Party (TDP) leader Chandrababu Naidu and others in his state are also bitten by the bug. 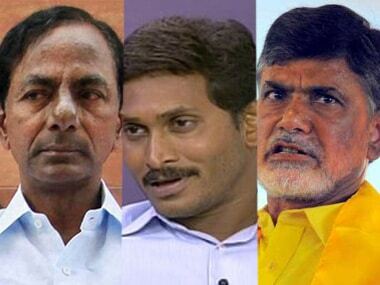 -Chandrababu Naidu calls Jagan Mohan Reddy (Jagan), his main rival and the leader of YSR Congress Party (YSRCP), a B-team of Telangana Chief Minister K Chandrasekhar Rao (KCR). -Naidu also says Jagan and KCR together are a B-team of Narendra Modi and the BJP. -Pawan Kalyan, the 47-year-old actor, who heads the Jana Sena Party, says Jagan is a B-team of KCR and BJP. -What Pawan says about Jagan is similar to what Naidu says. This is partly the reason why Jagan calls Pawan a B-team of Naidu. Pawan, the third player in the Andhra Pradesh elections after Naidu and Jagan, is neither confused nor amused. A fine gentleman, a generous philanthropist, a good actor and a karate black belt holder with a Russian wife, Pawan is hopping mad. The B-team stuff hasn’t been some passing allegation by Jagan. 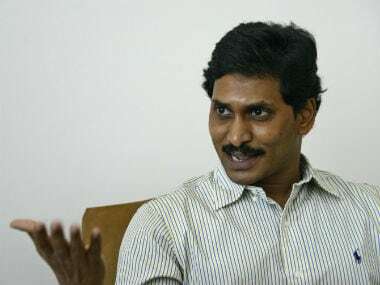 With the gusto of an evangelist, Jagan repeats it at his well-attended rallies, attacking Naidu for everything and accusing Pawan of being his secret ally. Pawan is doing what anybody accused of being somebody’s B-team would do. He wants to prove that he is his own A-team. He thinks he can do that by making a very tall claim that he himself will the next chief minister and not Jagan or Naidu. But unfortunately for the "power star", as Pawan’s fans call him, there is indeed some confusion over where he stands. That’s partly because, from the very start, he never appeared like a serious politician. This also had something to do with Chiranjeevi, his elder brother and a more popular Telugu actor. Chiranjeevi floated a party called Praja Rajyam in 2008, contested the 2009 Assembly election, polled 17 percent votes and won 18 seats. But two years later, Chiranjeevi merged his party into the Congress as seriously as he had started it. Pawan launched his own party, Jana Sena, three weeks before the 2014 elections and actively campaigned for the combine of Telugu Desam and BJP. Just how vital his support was to Naidu’s victory can be seen from TDP’s narrow win over YSRCP in terms of vote share. But after that, Pawan made himself a cameo star in politics. He would make an occasional appearance to air his views on subjects ranging from farmers to flyovers and then disappear for months. At some point, he began to make allegations, including those of corruption, against Naidu, before parting company with the TDP. For the current election, Pawan has got himself a cosy little alliance with the two communist parties and the BSP, and is fighting both TDP and YSRCP. Opinion polls and ground reports have marked Jagan as the favourite to win the election. Though Pawan is a distant third player, the triangular division of votes is a subject of heated discussion across the state. Vote division seldom happens in one direction. A good number of people from Pawan’s Kapu community who backed Naidu in 2014 may now vote for the actor’s own party. By attacking KCR, Pawan may also rob Naidu of some of his anti-Telangana votes. On the other hand, Pawan’s candidates may also attract some of the anti-incumbency votes and the Dalit votes (via ally BSP) which might otherwise go to Jagan. All this is enough for Jagan to conclude that Pawan constitutes Naidu’s B-team, but there is nothing to prove it. Yet, the perception of Pawan being Naidu’s man may not be good for the "power star" if he has a long-term political ambition. This might, however, help Naidu wean some votes away from Pawan to himself. That’s because some of Pawan’s supporters might decide to vote for Naidu, whom their leader is seen to be supporting. For some voters, it makes better sense to support a party that might win instead of one that is just an also-ran. Pawan, indeed, has little hope of winning this election despite his public postures. The predominance of his Kapu caste is limited to no more than 50 of the 175 Assembly seats. Across the state, he may poll between 5 and 10 percent votes, but may end up with only a handful of seats. Yet, his party can upset results in close fights. That’s clearly causing nightmares to Jagan more than Naidu, as the polling day draws near.